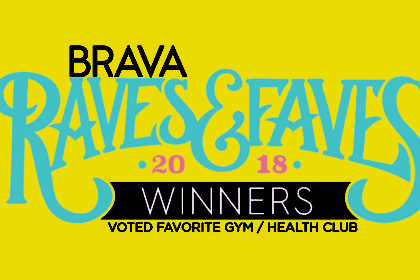 Brava’s 2018 RAVES & FAVES winners have officially been revealed! See what their readers deemed the best foodie spots, salons, gyms, wellness facilities and MORE around Dane County. Full article here. Prairie Athletic Club has over 250,000 square feet of facilities. With 40 years of experience serving our members needs, we strive to provide outstanding customer service and programs for our members of all ages. If you’re not a member yet, but would love to see what really makes PAC so special. Take a tour or signup for a free trial membership by scheduling an appointment online or stopping in. Lock in Prices with a 2 year gold cove membership before 2019. The sooner you signup the more you’ll save. 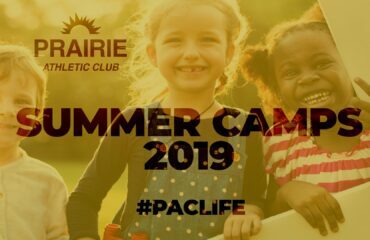 Prairie Athletic Club has a signup bonus for locking in your membership dues, now you can save 1/2 off for the remainder of 2018 and get the choice of 1 month of unlimited Hot Yoga, MX4 or TRX! Take a tour today. Brava’s mission is to encourage women in the greater Madison community to thrive in their lives by providing content and events that inspire, empower and initiate change. BRAVA Magazine is the No. 1 magazine read by over 48,000 Madison-area women every month with a cumulative readership of over 60,000. BRAVA Enterprises, LLC hosts annual events that have become synonymous with interactive fun and the opportunity to connect businesses directly with consumers. The Madison Women’s Expo is held annually each November, gathering celebrity guests, local and national businesses and area women at Exhibition Hall at the Alliant Energy Center for a weekend of pampering, shopping and fun! The Madison Kids Expo is a March weekend full of interactive fun, offering parents and kids one place to find resources for all aspects of family life—from welcoming baby through the early teen years—at Exhibition Hall at the Alliant Energy Center. The WELL Expo Madison is a two-day wellness expo featuring over 100 exhibitors. The Well Expo is the only event in the Madison area devoted to showcasing local resources for weight loss, medical care, wellness programs, healthy foods, green living, exercise, beauty and so much more! The THRIVE After 55 Expo is our newest event, focusing on thriving in life at all ages. Guests can enjoy engaging discussions about topics such as health care, financial advice, and more, and talk to local businesses here to assist them in every step of life.